Our little one turned eleven yesterday. Eleven. Parallel lines. Mormor is here to blow up balloons. Ani wanted lots of decorations. Thanks, Mormor! Same cake every year - because it's SO GOOD - but this year she decorated it. 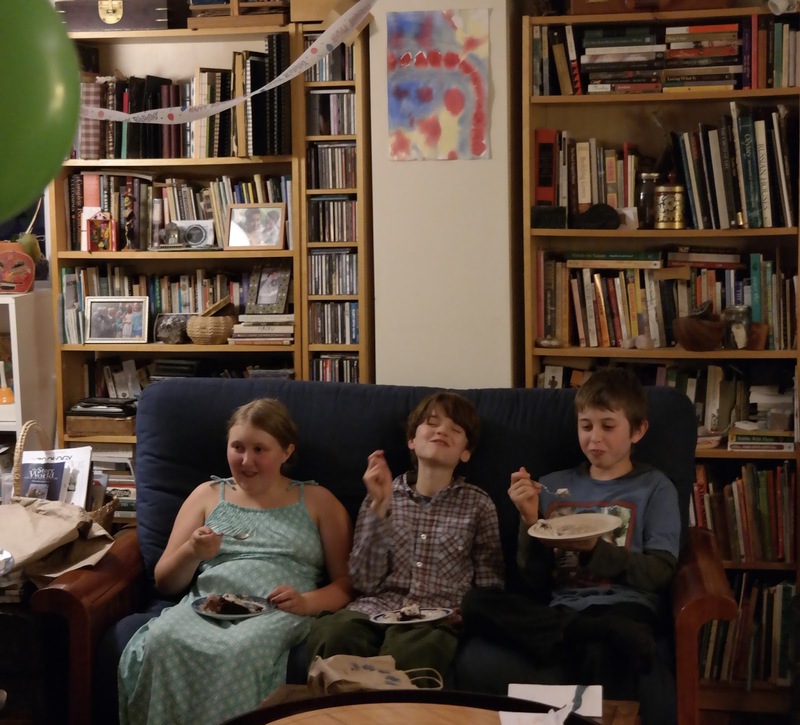 She wanted a family potluck, which is our favorite way to celebrate, and we brainstormed some games that the group of kids might play if the thunderstorms rolled through, as predicted. This one is like "pin the tail on the donkey," only I wanted it to be something non-competitive for the three years through almost-fourteen years spread, so I commissioned a "make Anika fancy" drawing from Eliza and it worked great!! Ok, so the 13 year olds didn't actually play, but it was a huge hit with the three and four year olds present. And Ani.